Warning! Secret Character Spoilers in the video and below! I've only played Super Smash Bros. Brawl on two occasions, and after being demolished by a single attack my first time, I demanded that the Final Smash attacks be turned off. Cheap kills that can instantly turn the tide of battle with an unblockable hit? No thank you. My victory rate climbed dramatically after that happened, and I've never seen the need to play with them since. That is, unless you just want to marvel at how well animated they are. I'm about as anti-Final Smash as they come, but I don't deny that they are a ton of fun to watch! Thankfully, the powers of YouTube lets you see these attacks without having to turn them on to spoil your fun. A new video from GameExplain compiles every single one of these moves from the Wii U version, and they all look amazing and possibly a bit more balanced than in Brawl. I'd ask you who has the best, but is there really any competition here? It's Mega Man, no "ifs, "ands," or "buts" about it. 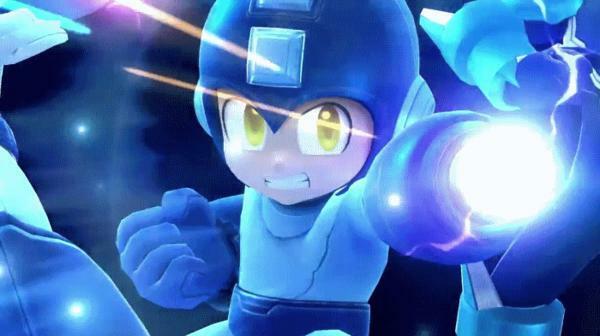 Seeing all of the different versions of the classic hero, especially Mega Man Voltnut from the fan-favorite Legends sub-series, is a miracle I'd never thought we would be able to witness again. Nearly thirty years of history in a single Final Smash attack. How cool is that? The Duck Hunt duo comes in a distant second. Too bad I'll never play with these Final Smash attacks turned on, though.